On August 14, Indonesian scouts celebrate Pramuka Day. 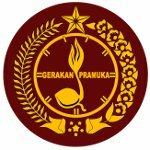 It commemorates the founding of the national Scouting organization of Indonesia, Gerakan Pramuka, in 1961. The Scout Movement came to Indonesia (then the Dutch East Indies) in 1912 as a branch of the Netherlands Pathfinder Organization. Scouting quickly became very popular in the colony, and new Scouting organizations began to emerge. When Indonesia officially became independent from the Netherlands in 1949, there were over sixty Scouting organizations affiliated with certain social groups or political parties. It was decided to unify them into a single Scout organization, but this process took quite a lot of time. In 1951, thirteen organization held a meeting and founded a federating body, Ikatan Pandu Indonesia. In 1952, President Sukarno granted it government approval and became patron of the National Scout Council. In 1953, Indonesia became a member of World Organization of the Scout Movement. A single Scout Movement in Indonesia was finally established in 1961. The first public parade of the organization was held on August 14 that same year, this day is now celebrated as Pramuka Day. Gerakan Pramuka incorporates both boy and girl Scouts.